Biotrue works like your eyes. Experience the difference! The latest line of contact lenses by the world renowned manufacturer Bausch and Lomb. As its name chosen implies, the lens is to true to the natural biochemistry of the eye. The consequence of this is healthy, comfortable , contact lens wear. 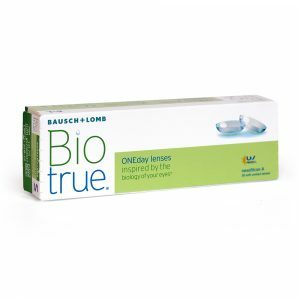 Bio true One day Lenses are daily disposable contact lenses available in 2 pack sizes, the 30 pack and the 90 pack. Biotrue daily contact lenses , High Definition optics for crisp clear vision all day and into the evening. 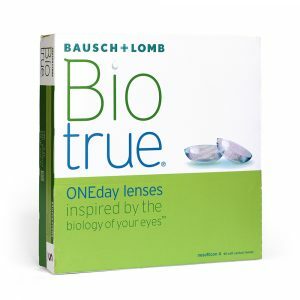 BioTrue daily disposable contact lenses from Bausch & Lomb.